Hotel marketing, these days, has to give access to the experience a guest will have when they are staying with you. The quicker you can give them a sense of place the faster they are going to click “BOOK NOW” and start spending their hard earned vacation dollars with you. Below we will share some case studies of how our clients are using Google Street view to lure guests away from the competition. In the last few years of hotel marketing I am having more and more clients request virtual solutions that put a guest on a property to explore. Matterport virtual tours, 360 video, virtual reality experiences and Google street view are just a few that are very powerful. With your hotel marketing efforts you can gain instant trust and familiarity with potential guests buy showing them exactly what they will get when they arrive. 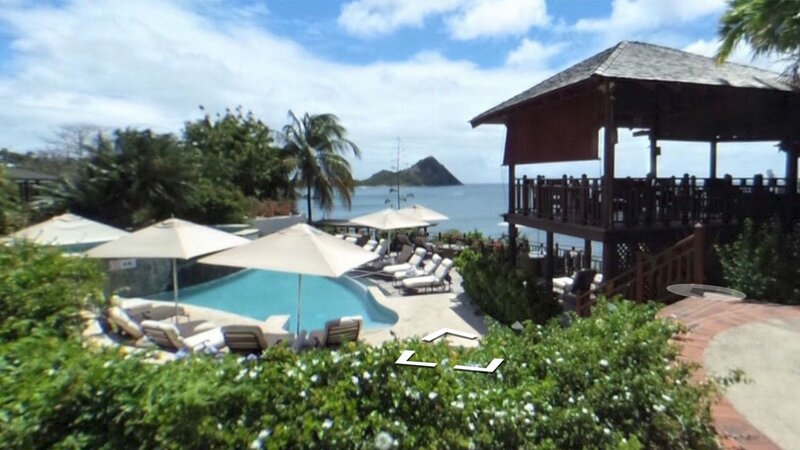 Google street view is an excellent option for hotel marketing as it takes a future guest anywhere you will allow they to go virtually from your hotel grounds to inside to see villas and room types. You can create small sections of areas to explore or connect them all together and let people roam and explore your property. With Cap Maison we created a full walk through of the property where you can see everything from their lush gardens to their iconic “Rock Maison” dining experience area. The great thing about these Google Street View 360 images is that they can be found anywhere in the Google infrastructure from Google Maps and Google Earth to plain old Google Search. Any single image that a user stumbles upon will lead them to the entire hotel tour if they want to be curious. Hotels can also embed these tours on their websites or use them in social media. Give it a try below and walk all around Cap Maison. Case: W Hotel South Beach – We used our Matterport data to create a walk through of one of their top suites. Case: Ocean Club Resorts, Turks & Caicos – The white sand and blue water is a staple in Turks. We put people right on the beach. We’d love to help you get a leg up on the competition with this powerful hotel marketing that is very inexpensive and potently effective. Please, contact us for more information about Google Street View. Barnes Creative Studios is a trusted Google Partner.